Hey @taylorswift​, this absolute sweetheart simply ADORES you (so much so that she refers to you as her mom!!!!). She completely lights up whenever she hears your music. 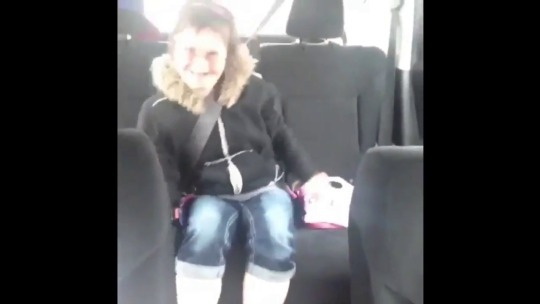 I DARE YOU NOT TO SMILE AS YOU WATCH THIS VIDEO!!!!!!! 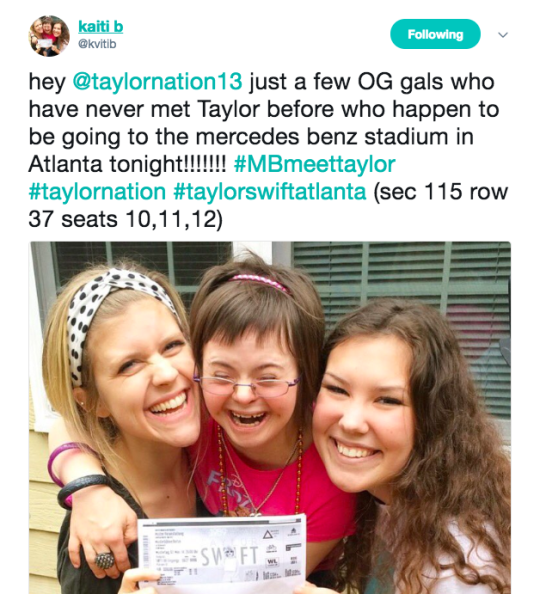 Fortunately, her amazing friend (and mine too) Kaiti (@kvitib on twitter and @watertowers on tumblr but she’s more active on twitter lol) surprised Mary Beth with tickets to TONIGHTS SHOW IN ATL!!!!!! Kaiti has taken her to see you before, and I know MB had one of the best nights of her life. Just look at that smile!!!!!!!!!!! !